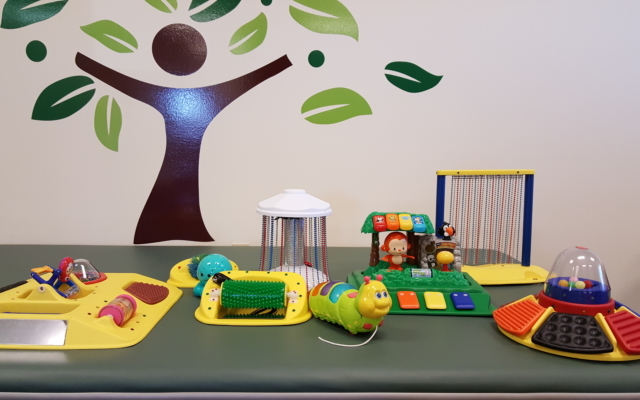 At Tree Top Therapy, we provide skilled therapy services in a safe and child friendly atmosphere tailored to the needs of each child. 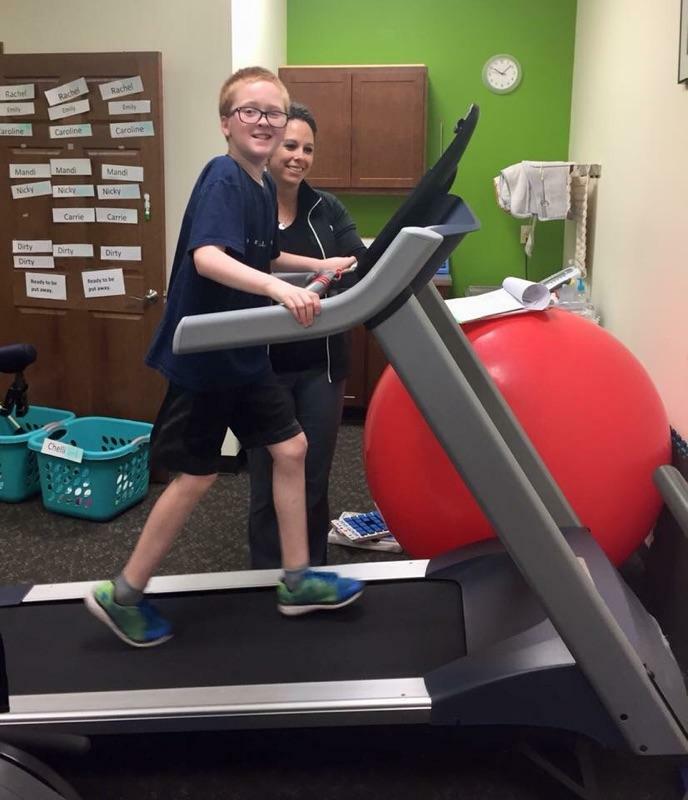 We are a specialized outpatient rehabilitation clinic providing Occupational Therapy, Physical Therapy, Feeding Therapy and Speech Therapy. 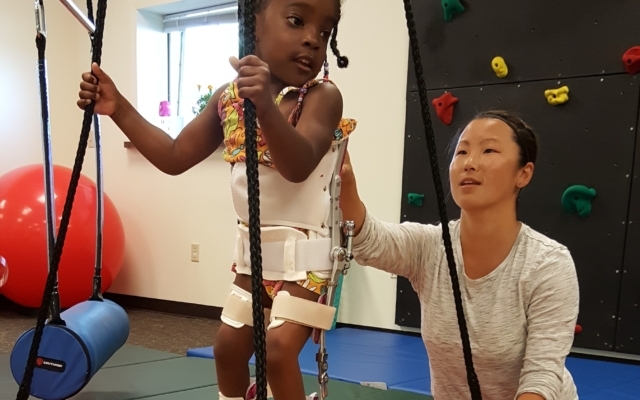 We are experienced and trained in the care and management of infants, children, and adolescents. 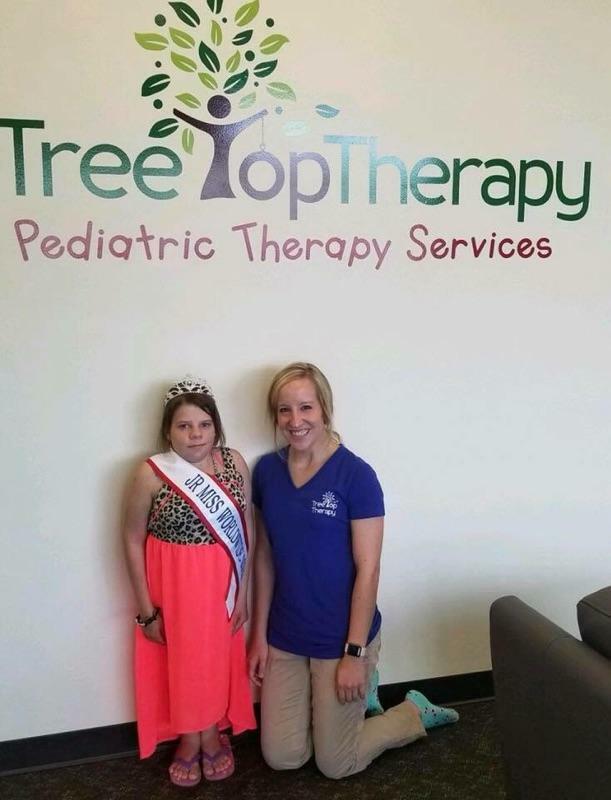 While Tree Top Therapy specializes in the treatment of pediatric patients, our staff and clinic are equipped and able to treat the whole family in need. 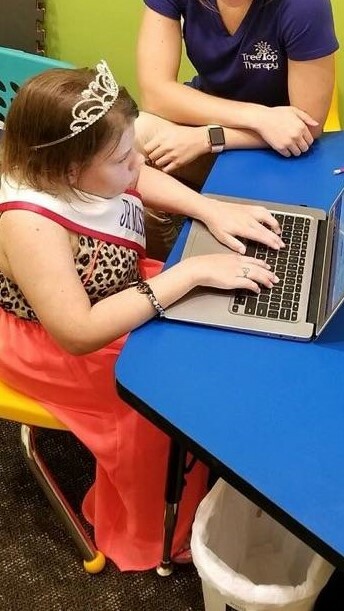 Medical based treatment/therapy is often appropriate for children in addition to school based services. 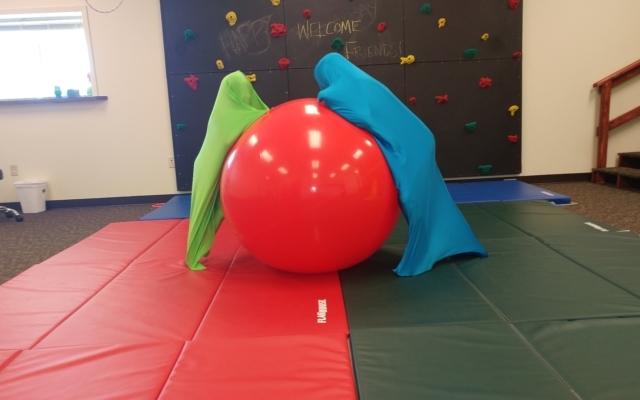 In the medical model, therapists identify the underlying deficits of a problem and address those deficits directly through rehabilitative activities. 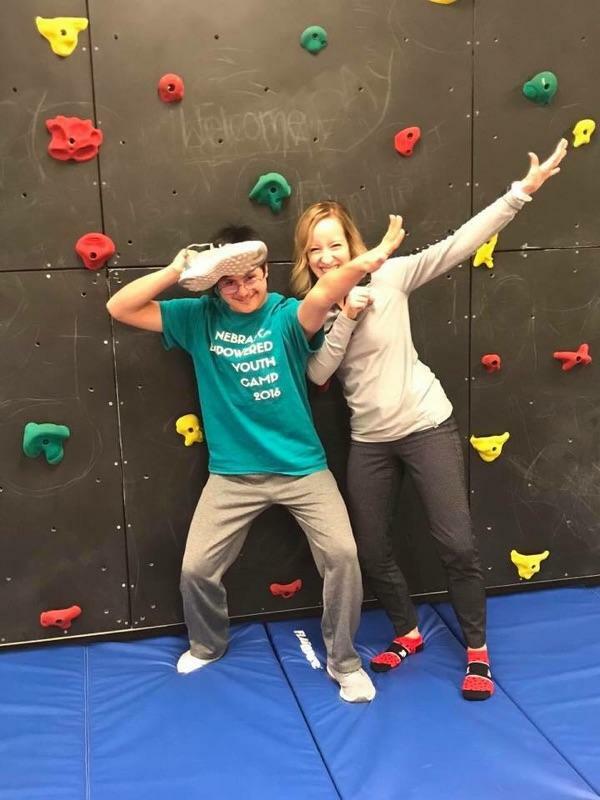 Medically based treatment offers a much wider spectrum of services, impacting the child as a whole. 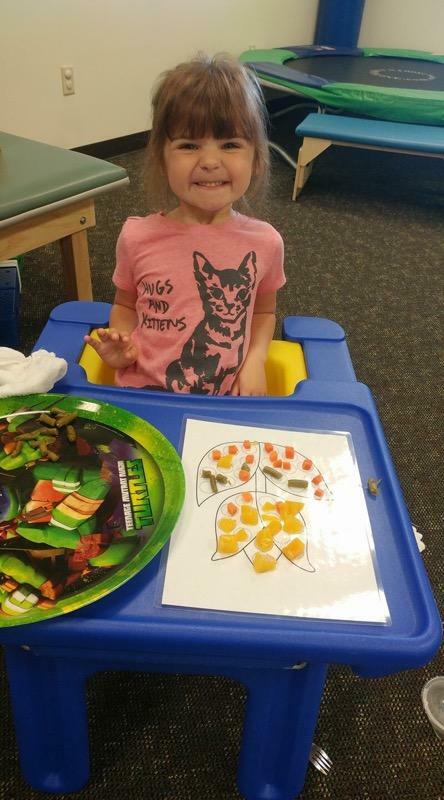 Children develop skills to do well at home, school, play and in life. 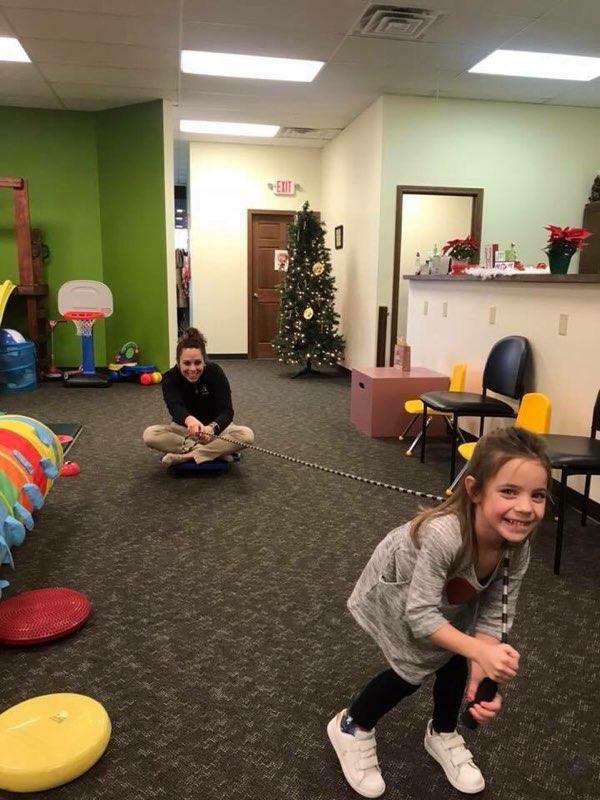 We offer Animal Assisted Therapy in the use of an animal, dog, as a tool in therapy to help facilitate communication, socialization, active movement and play. 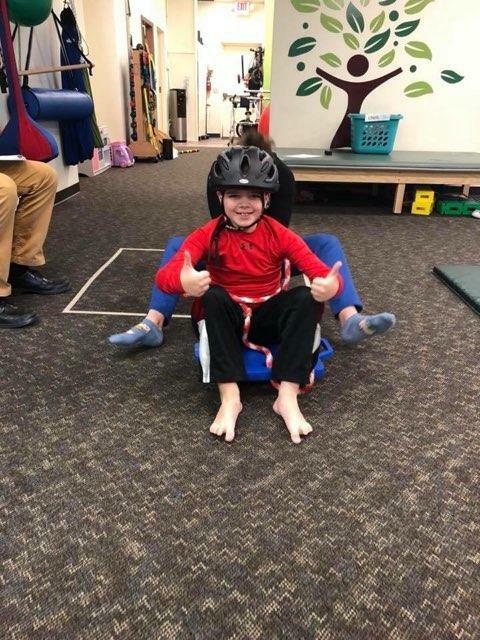 It can significantly increase a child’s ability to participate during treatment by easing anxiety and make tasks more motivating. 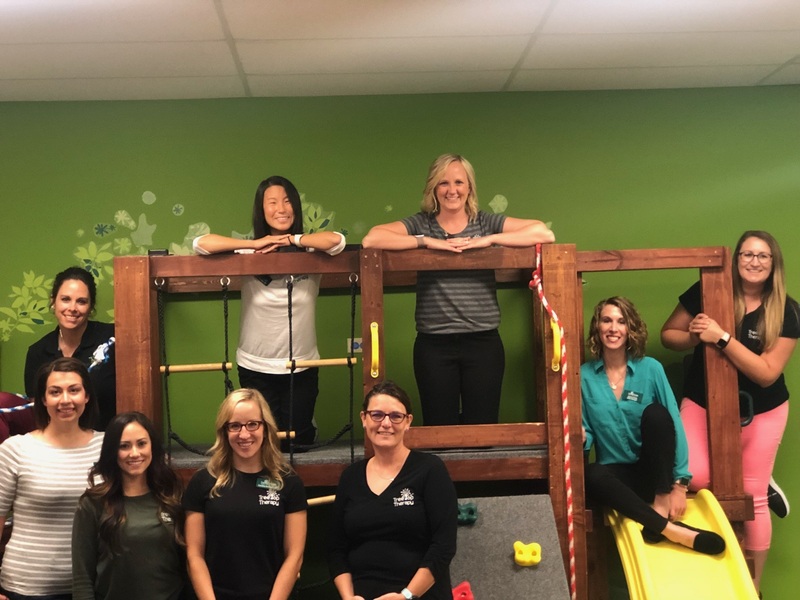 Our team of physical therapists specialize in providing one-on-one care with developmental, neuromuscular and orthopedic conditions. 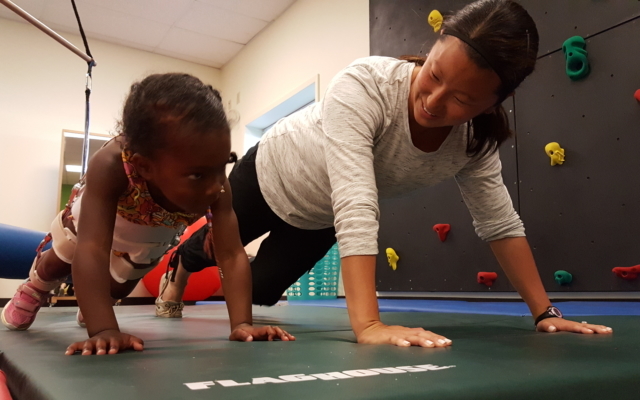 We specialize in movement and gross motor development such as crawling, walking, running and ball skills. 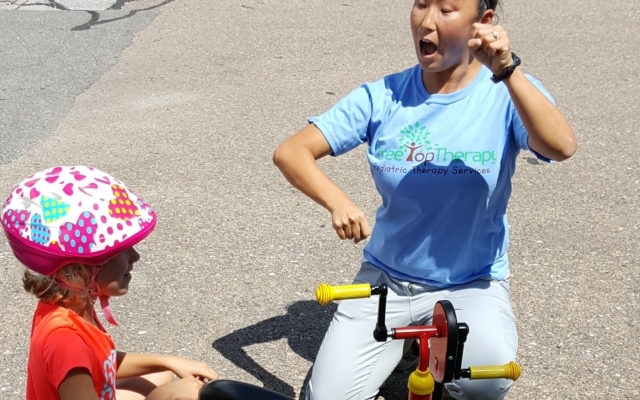 Our therapists are play-based to help increase strength, balance, coordination and motor skills. 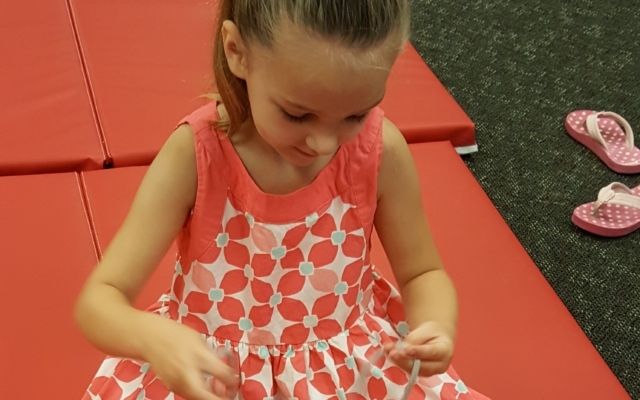 We offer Cortical Visual Impairment (CVI) assessments, therapy and training. 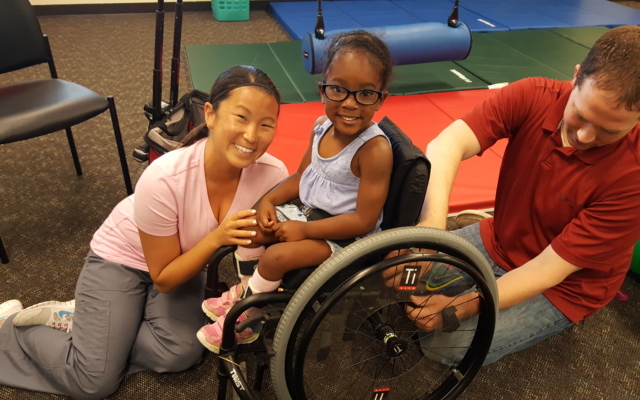 Our therapists have additional training and endorsements to provide the CVI Range, Irlen overlays and vision therapy. 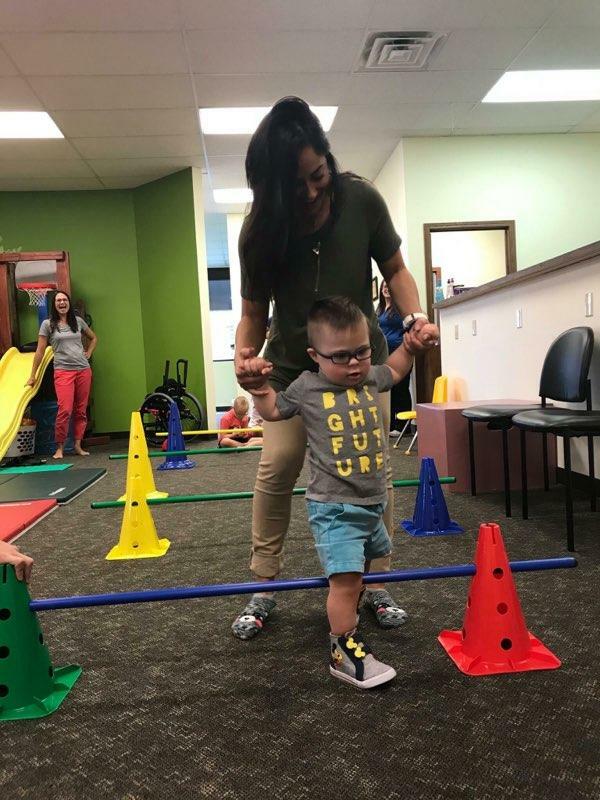 *We are so proud to offer the CVI assessments as our Occupational Therapist, Michelle Westengaard, is the only person within five states certified in this specialty! 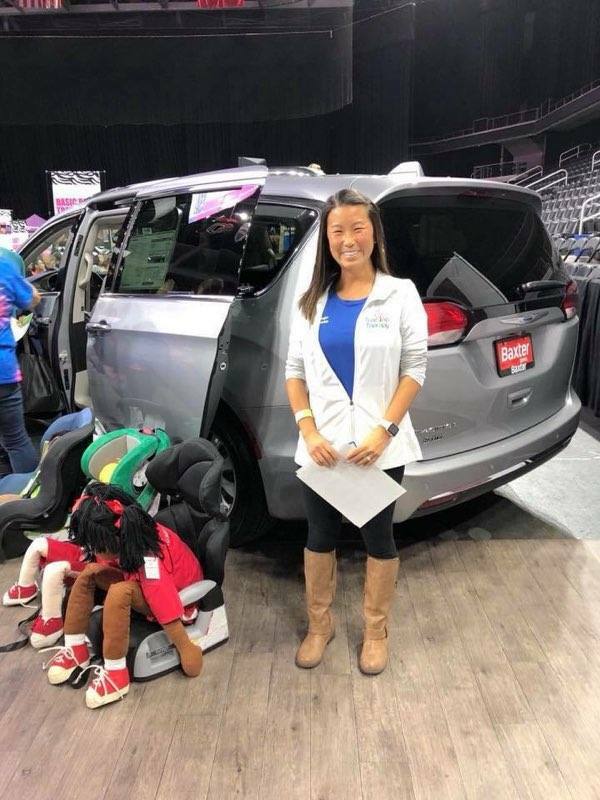 We have three Child Passenger Safety Technicians on staff that have additional Special Needs Training. 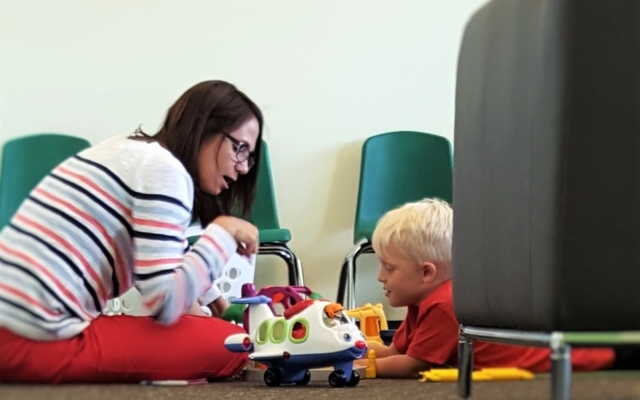 Based on the needs of the community, our therapists provide evidence-based programs such as, one-on-one personalized instruction on how to properly install car seats, car-seat checkups, and Day Care Transportation Training. 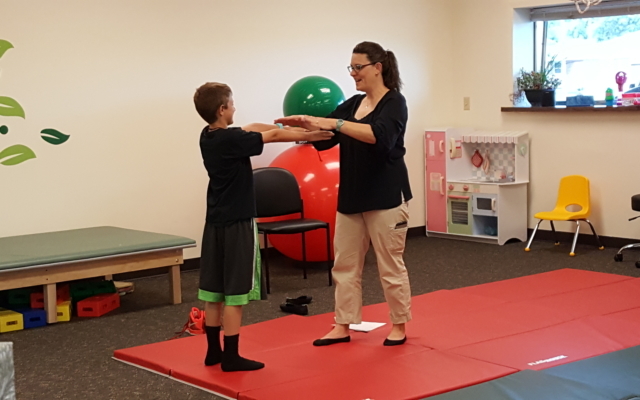 *One of our Physical Therapists, Amanda Herlein, has even more training qualifications than the typical requirements. 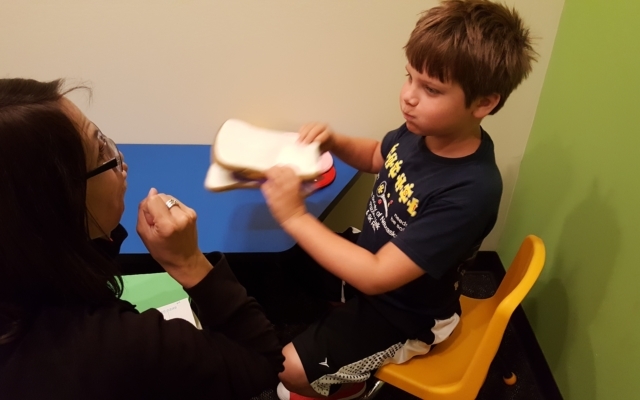 Our therapists have specialized training in Neuro-Developmental Treatment (NDT). 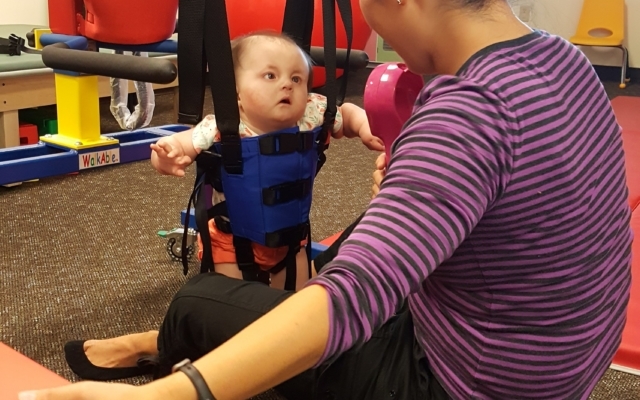 This is widely used to treat neurological involvement such as Cerebral Palsy and stroke by inhibiting abnormal movements and promoting normal ones by using key points of motion. 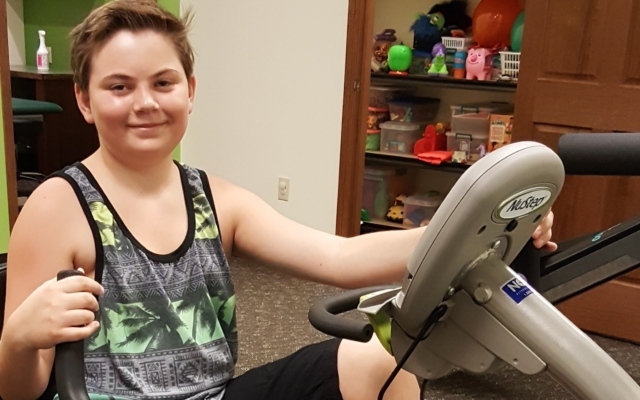 Our occupational therapy program looks to evaluate the performance skills of children and help them decrease the fine and gross motor, sensory, processing and cognitive skills that are necessary for activities of daily living. 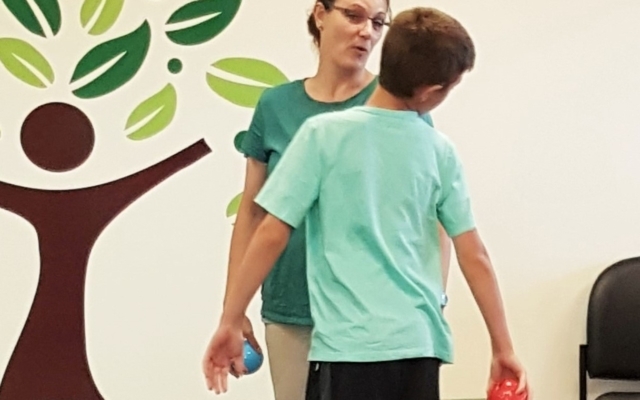 Our sessions are play based and child centered. 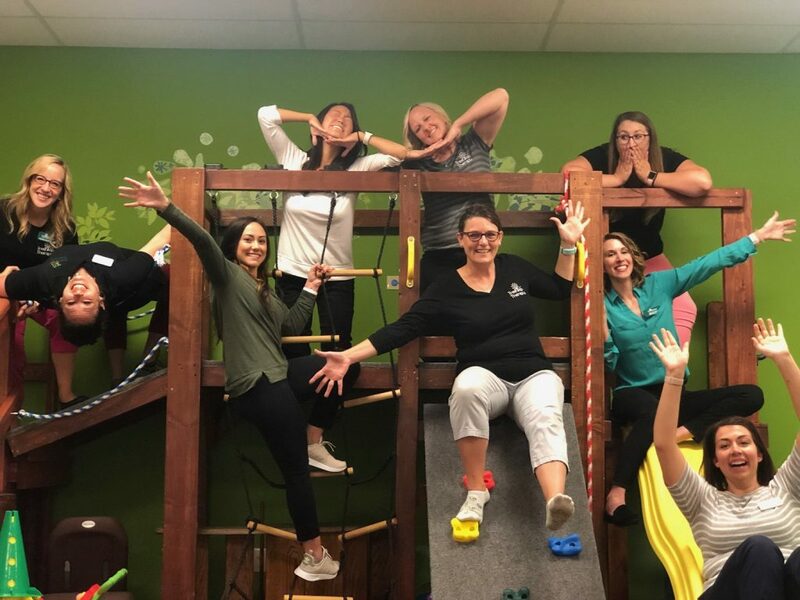 At Tree Top Therapy, our speech language pathologists work with patients and families to provide individualized treatment and assessment for an array of disorders including speech, language, social communication and much more.